Once you have purchased your document through paypal you will be redirected back to this website to the download link. You will also receive an email with your receipt and the download link. If you don't receive the email then please check your spam folder. 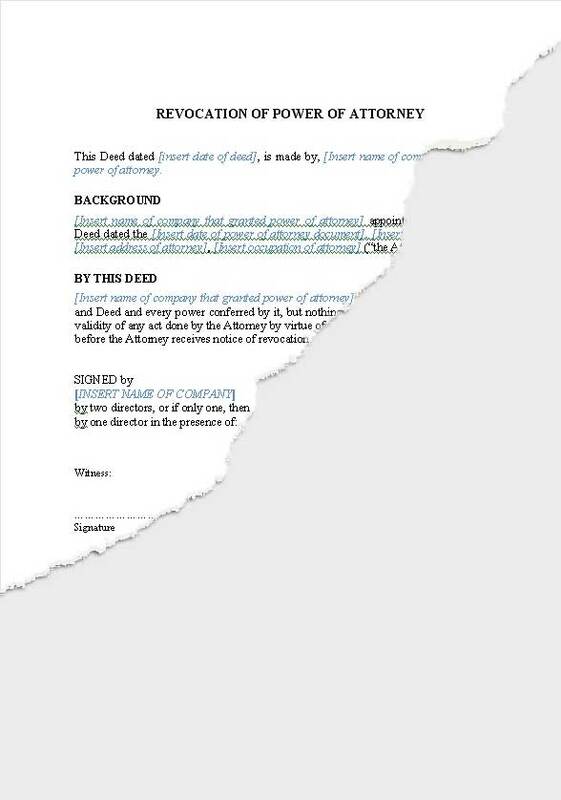 When a person is granted a power of attorney by someone, they have the power to sign documents and enter agreements which are binding on the person who granted the power of attorney. When the attorney does that, they should attach a signed certificate that the power of attorney has not been revoked and remains valid at the time of signing the document. 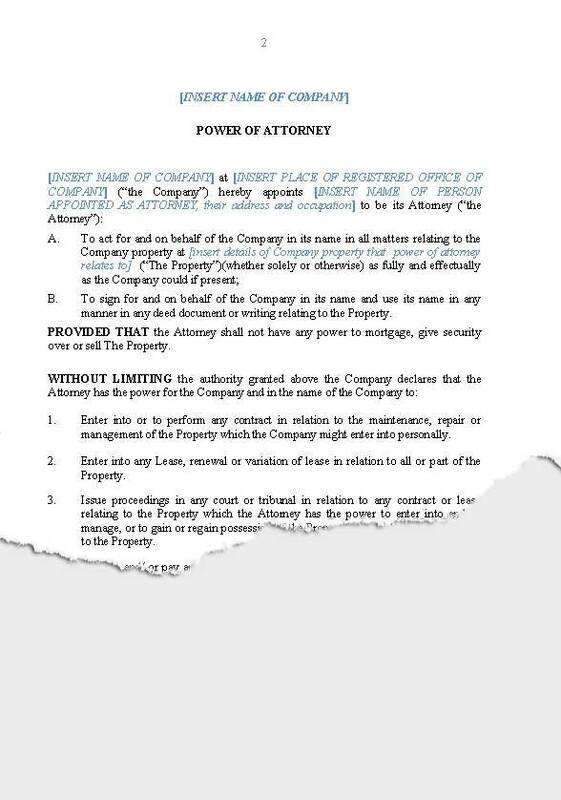 This Power of Attorney is a document by which a company appoints a person to be the company’s attorney to act on its behalf in respect of a specific property but excluding power to mortgage or sell. Any act of the Attorney is binding on the company as if done by the Company itself. Powers of Attorney should not be granted lightly. The company granting the power of attorney should check its constitutional documents to make sure there is nothing to prevent the power being granted. 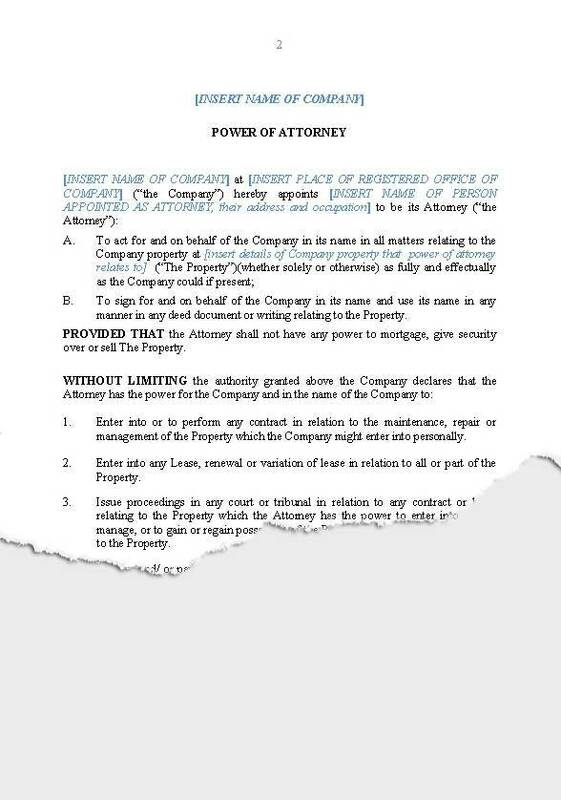 This Power of Attorney is a document by which a company appoints a person to be the company’s attorney to act on its behalf in respect of a specific project or purpose, such as the sale of a property, or negotiation of a contract. Any act of the Attorney is binding on the company as if done by the Company itself. Powers of Attorney should not be granted lightly. The company granting the power of attorney should check its constitutional documents to make sure there is nothing to prevent the power being granted. This Power of Attorney is a document by which a company appoints a person to be the company’s attorney with unlimited power to sign any documents for the company and act on its behalf on any matter. Any act of the Attorney is binding on the company as if done by the Company itself. Powers of Attorney should not be granted lightly. The company granting the power of attorney should check its constitutional documents to make sure there is nothing to prevent the power being granted. 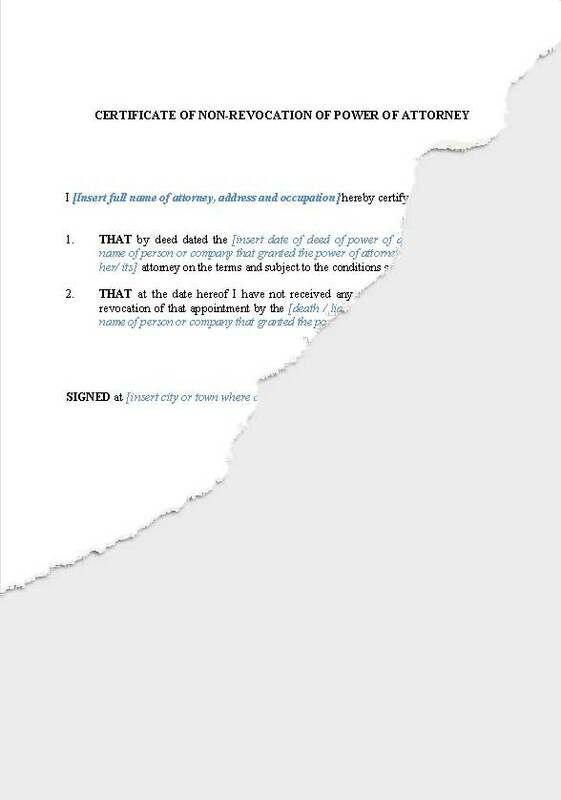 A Deed giving notice of revocation of a Power of Attorney given by a company. 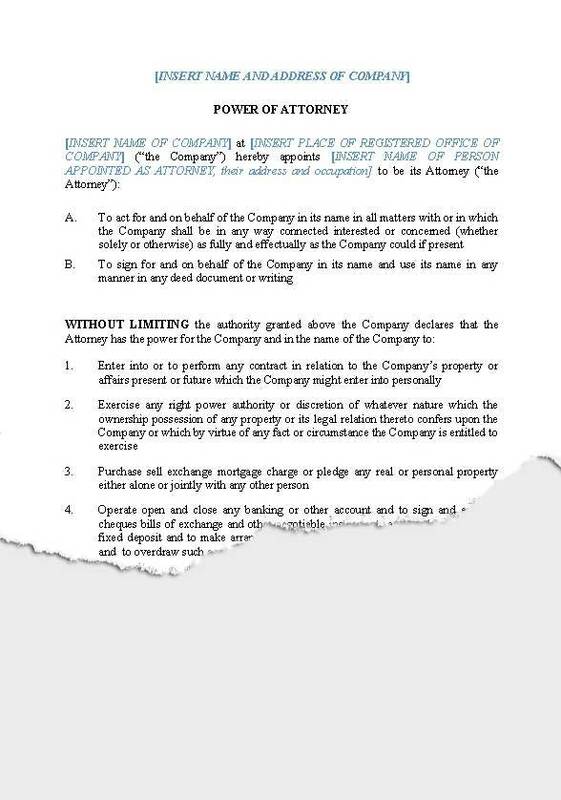 This notice is to be given to an attorney to cease that person’s on-going authority as attorney of the company. 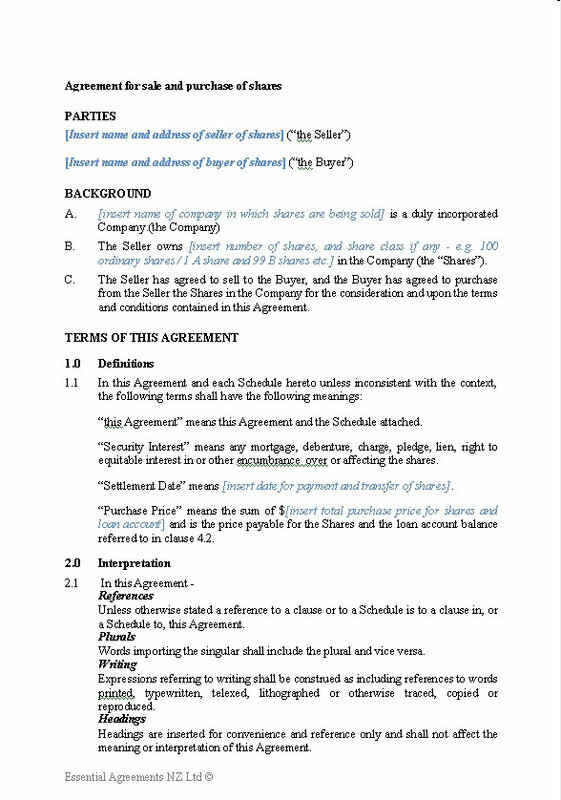 An agreement that provides for the sale of shares in a small privately owned company, with transfer of the seller’s shareholder loan account, limited seller warranties and other documentation to be provided on settlement including director resignation, resolutions and share transfer form. 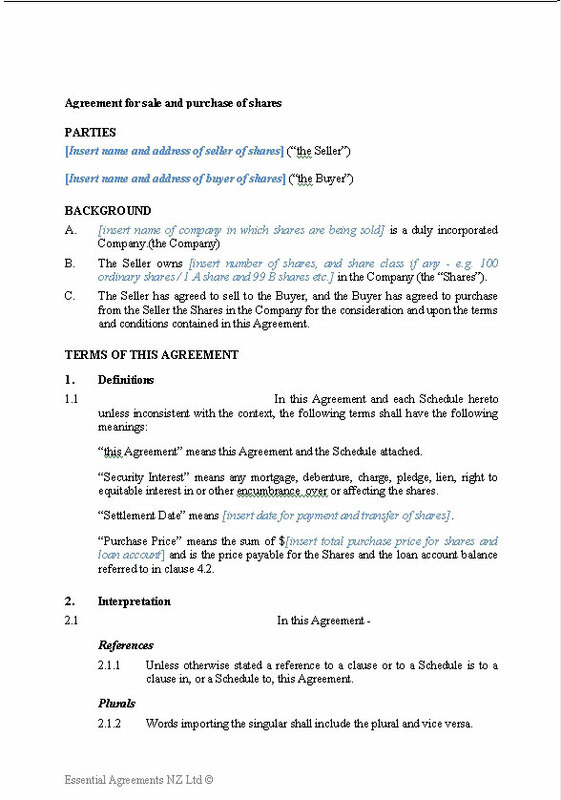 An agreement that provides for the sale of shares in a small privately owned company, with limited seller warranties and other documentation to be provided on settlement including director resignation, resolutions and share transfer form. This form does not specifically provide for the transfer of any vendor shareholder current account to the Buyer. A different form is available if that is required. This pack contains a number of templates for company meetings and resolutions. 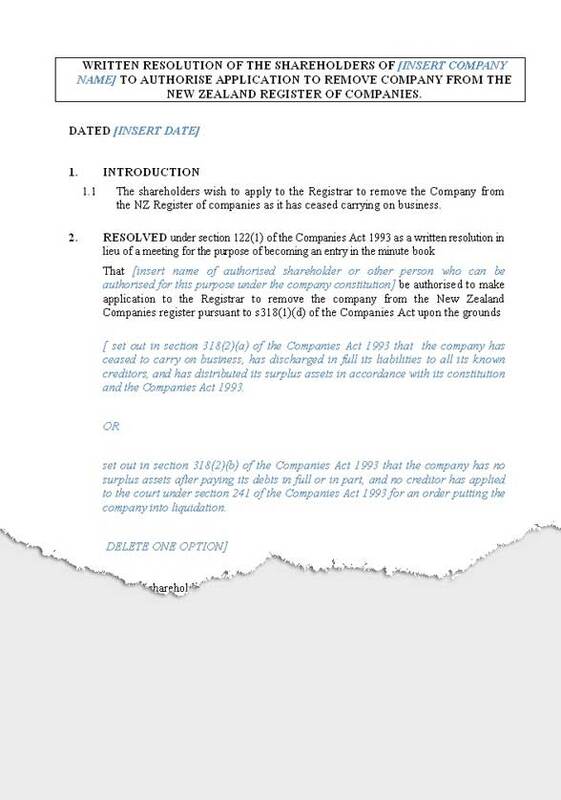 The pack includes documents and a user guide for the following: Opening Minutes of the Board; First resolution of shareholders not to appoint auditor; Shareholders’ resolution in lieu of AGM; Agenda for AGM; Minutes of AGM; Directors’ Resolutions to approve a Major Transaction; Shareholders’ Resolution to approve a Major Transaction; Written resolution of shareholders’ in lieu of a meeting; Minutes of a meeting of shareholders; Written resolution of Directors in lieu of a meeting; Minutes of meeting of Directors. 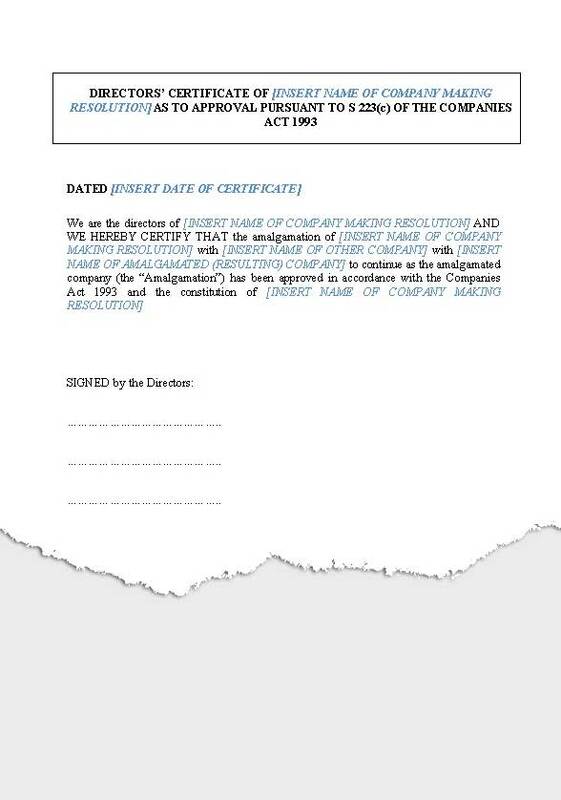 This pack contains a user guide with comprehensive process notes, a resolution that the company has ceased business, letter to IRD, and Notice as is required for a short form liquidation, or request to remove a company from the Register of Companies under s318(1)(d) of the Companies Act 1993. This pack contains documents necessary to complete a short form amalgamation pursuant to s222 of the Companies Act with comprehensive process notes. 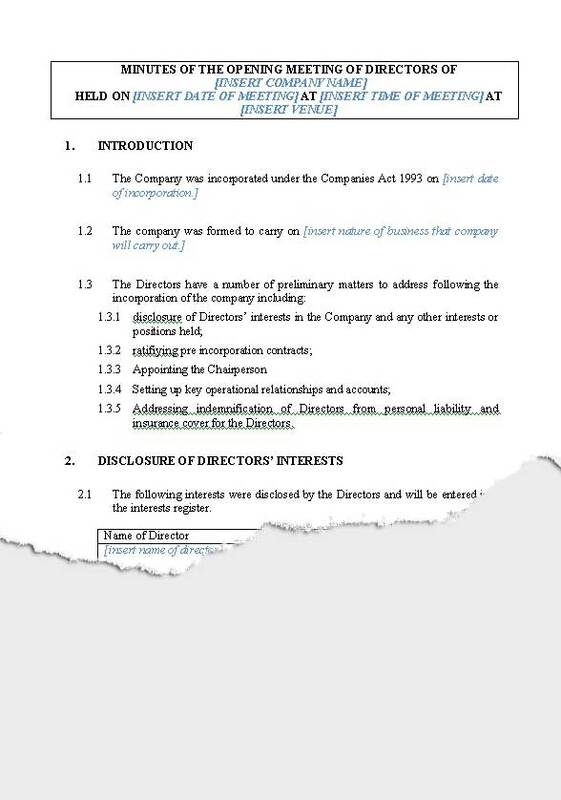 The documents included are: Directors resolutions to approve amalgamation, Certificate as to solvency, Certificate as to approval, Notice to secured creditors, Certificate that creditors not prejudiced.